The National Institute for Reproductive Health, in partnership with All* Above All, has supported advocacy in Chicago and the state of Illinois to expand public coverage of abortion since 2013 with our partners the ACLU of Illinois (ACLU of IL) and the Chicago Abortion Fund (CAF). In 2017, NIRH supported the ACLU of IL as they successfully fought for passage of House Bill 40, which protects the legal right to abortion in the state and ensures that that right is a reality for low-income women by lifting Illinois’ restriction on Medicaid coverage of abortion. 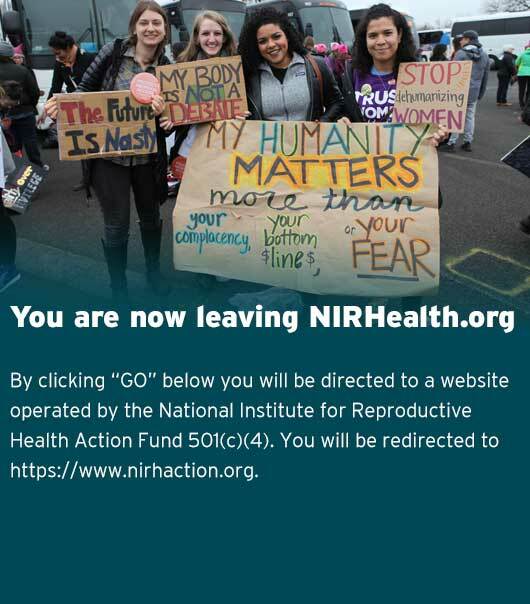 Previously, NIRH and All* Above All had supported the ACLU of IL and CAF in their work with the Cook County Board of Commissioners to successfully pass a 2015 resolution calling for an end to state and federal bans on abortion coverage. In 2018, NIRH and All* Above All continued their work with the ACLU of IL to ensure that the law is implemented and that people statewide know their rights and understand the law’s impact.